Janet E. Helms, the Augustus Long Professor at the Lynch School of Education at Boston College, received two awards at the 125th annual meeting of the American Psychological Association that was recently held in San Francisco. Professor Helms, a faculty member in the department of counseling, developmental, and educational psychology, was presented with the Lifetime Achievement in Mentoring Award in Counseling Psychology by the Society of Counseling Psychology. She also received the Lifetime Achievement Award from the Society for the Psychological Study of Culture, Ethnicity and Race for outstanding contributions in the promotion of ethnic minority issues over the course of her career. “Dr. Helms is a trailblazing producer of scholastic excellence and a wonderful mentor to many psychologists,” said Candice Hargons, an assistant professor of counseling psychology at the University of Kentucky and a representative of the Society of Counseling Psychology. Dr. Helms joined the faculty at Boston College in 2000 after teaching at the University of Maryland, College Park. Earlier, she served on the faculty at Southern Illinois University-Carbondale and Washington State University. Professor Helms holds bachelor’s and master’s degrees in psychology from the University of Missouri-Kansas City and a Ph.D. in counseling psychology from Iowa State University. 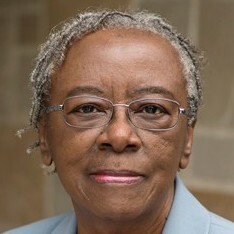 In 1991 Columbia University Teachers College established the Janet E. Helms Award for Mentoring and Scholarship in Professional Psychology in her honor. She was the first recipient.